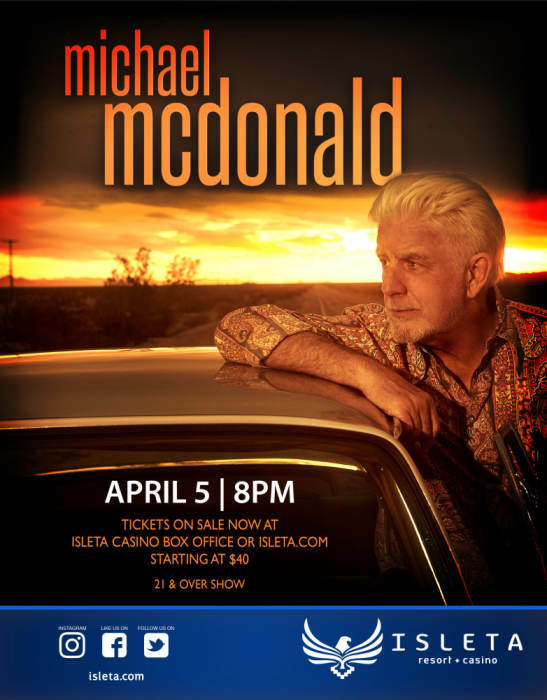 Isleta Resort & Casino is proud to present Michael McDonald on Friday, April 5, 2019 at 8pm. Get your tickets today to see the incredible, Michael McDonald, LIVE in the Isleta Resort & Casino Showroom. This is a 21 and over event and tickets start at $40.